HomeSocial Couponing and “Daily Deal” Sites: Storm Clouds on a Blue Horizon? Social Couponing and “Daily Deal” Sites: Storm Clouds on a Blue Horizon? I’ve blogged in the past about the risks and rewards of social couponing. Recently, we’ve been getting some conflicting reports about the online couponing phenomenon. On the positive side, according to a new market forecast by local media expert and advertising firm BIA/Kelsey, American consumer spending on coupon “deals” – including daily deals, instant deals and flash sales – is expected to grow at a healthy compound annual growth rate of ~37% between 2010 to 2015. That would mean that Americans will be spending ~$4.2 billion in this segment by 2015. And that’s an increase of ~$300 million over BIA/Kelsey’s earlier 2015 forecast, released by them just this past March.  Groupon and LivingSocial – the leading players in this market – have expanded rapidly. With low barriers to entry, more participants have entered as well, including vertical sites and local media companies.  There’s been substantial growth in the number of registered users who are active in buying coupons.  More specialization in deal sites – by market segment and by geography – is leading to more activity by registered users.  An increase in both the number of transactions and the average price per transaction will occur. Counterbalancing this rosy report is the experience of market leader Groupon in its attempts to take itself public. That endeavor has been accompanied by the release of financial figures that show company performance well below expectations. And the challenges go well beyond Groupon: The Wall Street Journal’s Shayndi Raice is reporting that a shakeout has already begun among the ~530 daily deal sites that have been formed in recent times. So far in 2011, nearly one-third have shut down or been sold (~170 of them), according to daily deal site aggregator Yipit. 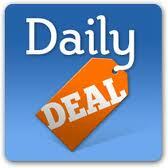 Even sites like Yelp and Facebook have pulled back from their daily deal coupon activities. According to reporter Raice, at the root of the challenge is the cost of acquiring registered users for the couponing services. At the outset, the novelty of the segment and the resulting PR buzz made it relatively easy to attract “early adopter” consumers and participating merchants, so only a relatively modest sales promotion budget was needed. Groupon was forced to spend nearly $380 million in marketing initiatives during the first half of 2011, compared to only around $35 million a year earlier. In the heightened competitive environment, not only must companies vie for new consumers, they need to sell new merchants on the program as well. Those marketing and selling requirements translate into nearly 1,000 Groupon sales employees in North America alone, while second-ranked LivingSocial has ~700 … each of whom earns an average $100,000 in salary plus commission. Considering these daunting dollar figures, it’s hardly a surprise that there’s a shakeout happening, with the less-heeled participants having to exit the market or sell themselves off. In hindsight, it appears that many entrepreneurs and investors may have been tempted by the deceptively low barriers to entry into the “online deals” coupon game – basically a website … a few merchants offering coupon discounts … and some e-mail offers to consumers. But the real costs come with trying to scale operations so that the individual coupon offers result in sufficient income and fees that will offset the relatively labor-intensive operating model. Obviously, many have yet to find the sweet spot in this business.